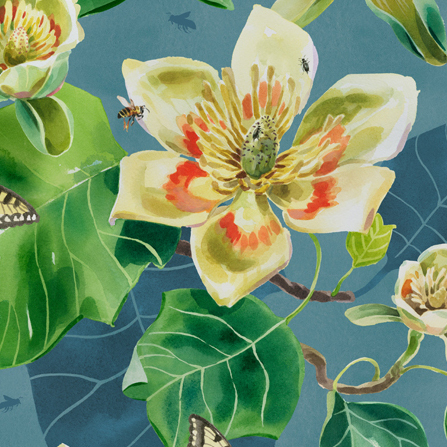 Natalya Zahn is an American illustrator currently located in Boston, MA. 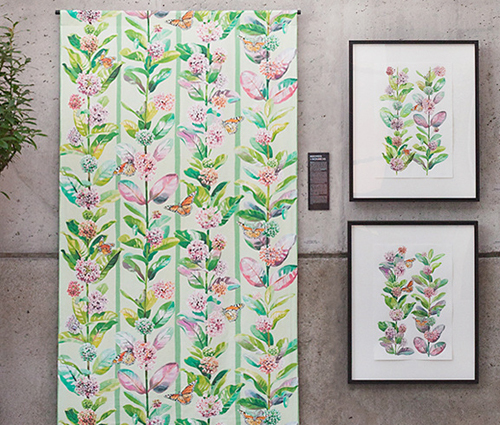 Her love of nature, animals, and natural history subjects has resulted in a new collection of textiles based on wild plants and pollinators. 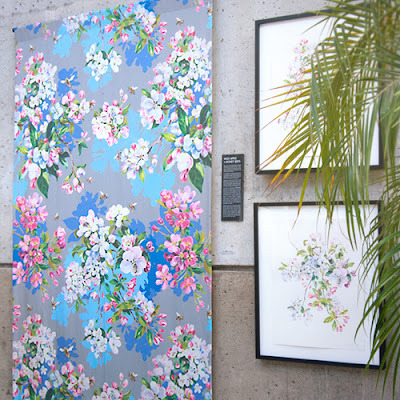 The original goal for the collection was for display during a solo art exhibition called 'Birds, Bees and Tulip Trees' - thus each pattern was designed at a larger than life size to hang on the gallery walls. 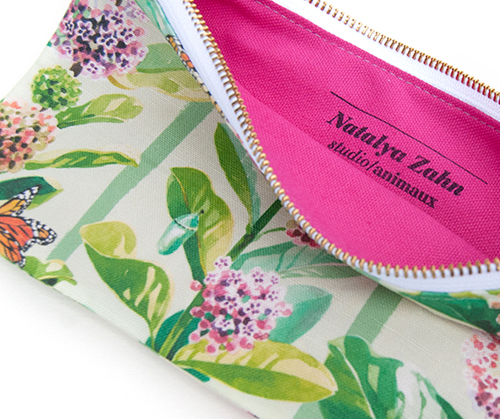 Natalya has since scaled down each pattern and created a limited line of hand sewn accessories branding with her own label studio/animaux. 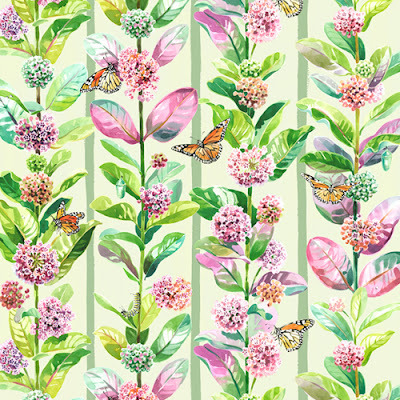 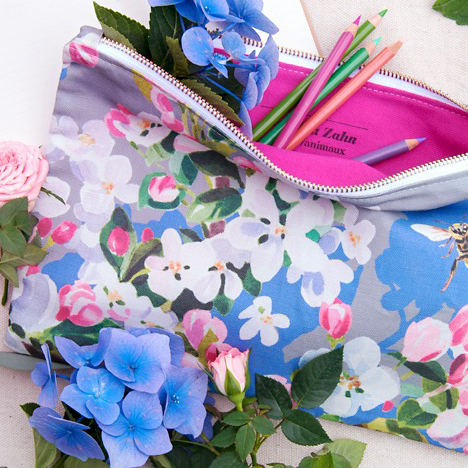 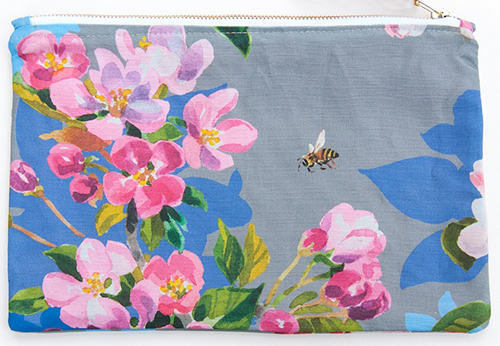 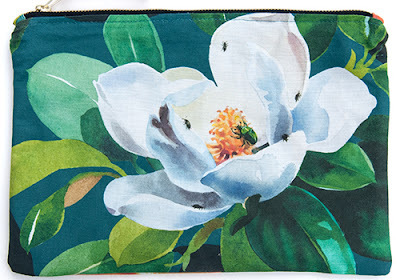 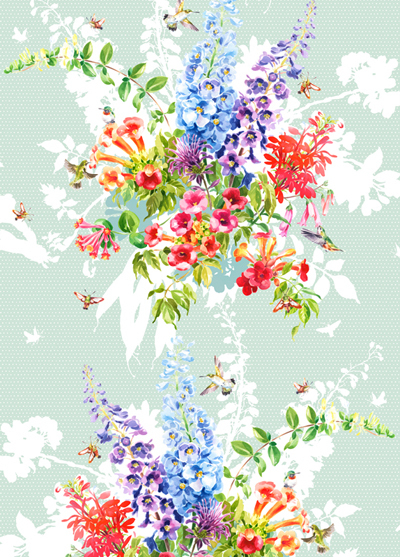 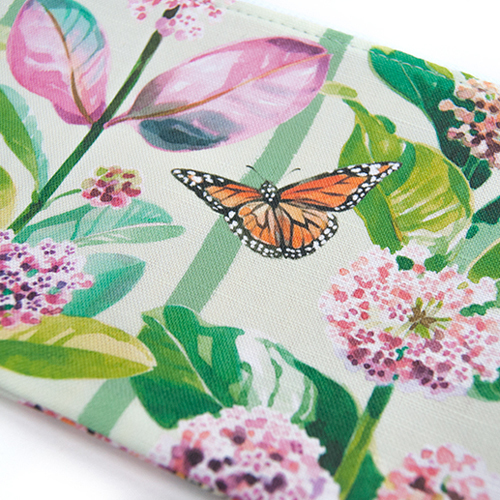 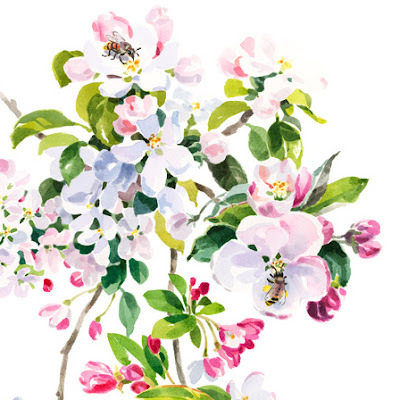 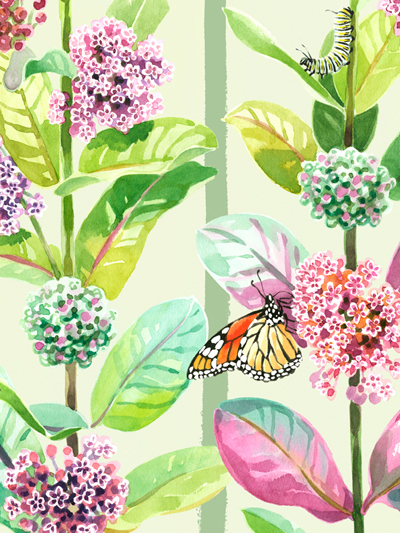 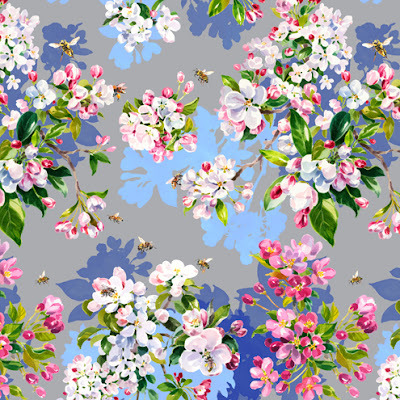 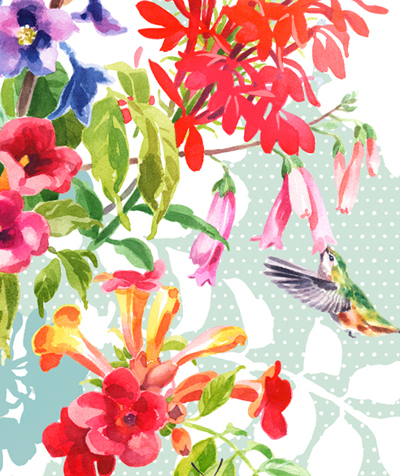 Each of the five unique patterns were developed from original watercolour paints and showcase a specific flowering plant and it's primary pollinator. 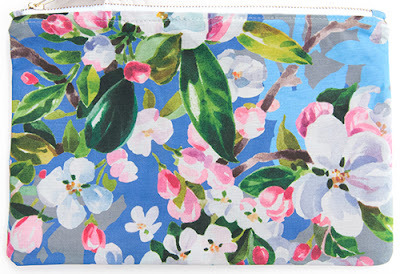 Natalya now hopes to pursue more textile design work and can be contacted via her portfolio website here.